I'm going to let you in on a little secret. T strap flats are going to be all of the rage this fall. That's right. My intel is saying buy stock now. So let's get a jump start on this trend and maybe even make it work for summer. Gorgeous. Wear it now with a sundress and later with ankle cropped chinos and a denim jacket. Rocker chic to the max. Taylor Swift would so approve of these little beauties. 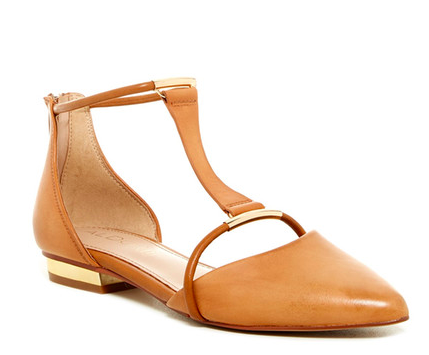 Part sneaker, part flat, part sandal, all adorable. Quite a little architectural masterpiece. I love the modern details of this flat. T strap flats are so simple and yet they make such a statement. I love them for summer into fall. 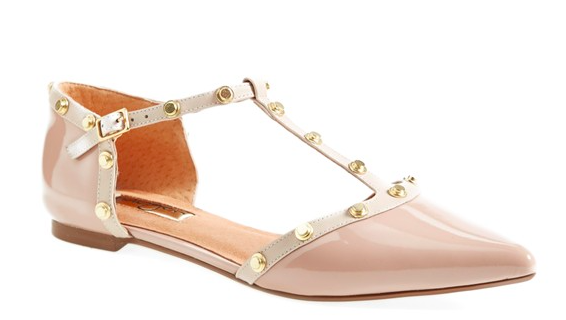 Leave those heels in the closet and try these dressy flats.